Welcome to the ELEMENTS of money™ podcast. Don't miss a single episode: subscribe for free. Today’s show is kind of a money map for those of you lost in the financial wilderness. A guide if you want to learn about finances but aren’t sure where to turn. All about school-year expenses, and how to save for them. This show is dedicated to the mistakes you want to avoid when looking for a job. Soak up the summer AND save money with tips in our new podcast! 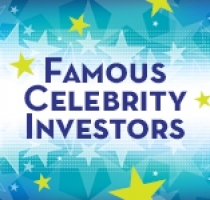 Which celebrities have solid money skills and which could use a little financial education? Find out in this month's podcast! We talk about all of our fun social media contests, including insider tips on how to win! Is my purchase worth it? 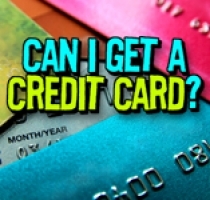 Curious how a credit card works? Wondering if you can get one? You've come to the right podcast! We rounded up the best of the best—our top five money tips of 2017! Need help paying for college? Get all of the savings tips in our new podcast. Fall is the BEST time to have fun on the cheap—we'll show you how. Online shopping is ridiculously easy... maybe too easy. We'll show you how retailers try to get you to spend more money—and how to avoid it. You know you're supposed to save money... but how much is enough? We've got an easy way to figure it out. Prepare to have your mind blown... You don't have to spend a ton of money to have fun this summer 😯💨 We'll show you how! Driving, prom, college -- how do you afford it all?? Check out these money musts for every teen. Technology can zap your cash if you're not careful. Find out how to enjoy tech without spending all your money. We recap our biggest social media contest of the year, Tweet For College! Hear the winning tweets, and find out how you might win a scholarship next year. Don’t let restaurants devour your cash! Fact: food is awesome... but it's also expensive. Learn how to keep eating at your favorite restaurants without making your wallet sad. Three Student Loan Myths - Debunked! Student loans can make college possible, but watch out for these popular (and un-true) myths! Want to change a life? We cover everything you need to know about donating money to a good cause. If spending all your money on gifts this holiday makes you feel ho-ho-horrible, try our affordable (and easy) DIY tips. Should I Open a Checking Account? If you're still putting money in a piggy bank, it might be time for a checking account... here's everything you need to know. Don't let FOMO (Fear Of Missing Out) pressure you into spending tons of money on your fun. Check out our ways to cope (and save)! Your whole world is on your phone… but is it safe? In this episode, we discuss the two accounts designed for today and tomorrow ... checking and savings accounts. How can credit unions awaken your financial destiny? We asked teens across the country to tell us in our annual Tweet for College scholarship. In today's episode, we share our favorite Stars Wars inspired tweets. Bust your budget? Try a spending plan. Want a different approach to reaching your financial goals? Try a spending plan. With a spending plan, it’s not about what you can’t buy, but what you can. In this episode, we take a look at the connection between your emotions and how you spend money. If you’re not aware of how you feel, you might make big money mistakes. We’ll help you get it all straight. If you think saving money is boring, we have a better (and fun way) to do it. Make a game out of it! Listen to this episode to learn how. We've dug into the past year's podcasts to come up with our top five favorite money tips. 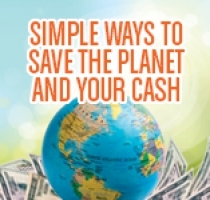 Listen for the best ways to save, spend and protect your money. If you plan to go to college but need financial aid, this episode is for you. We cover what you need to know about completing the Free Application For Student Aid (FAFSA). With credit and debit card fraud on the rise, we have easy ways to help keep your information (and money) safe and. Plus, a 10-second money tip for anyone working at their favorite store. Being financially smart is more than just saving money. It's about understanding basic life skills and how they can help you navigate your relationship with money. How far would you go to save a few bucks? In today's episode we explore the quirky side of saving money. Scams and frauds are always changing and evolving. In this episode, we'll talk about the new scams that are hitting young people, and what you can do to protect yourself... and your money! How can credit unions help you prepare for a zombie apocalypse? We asked students across the country. Hear what they had to say. What's the difference between being cheap and having a smart saving strategy? In this episode, we talk about why sometimes going the cheap route isn't always the smartest way to save. In this episode, we uncover the different ways stores try to get you to spend money once you walk through their doors. What's the value of your hard-earned dollars? There are many ways to determine that. We cover them all in this episode. Getting ready to buy a car? Before you sign on the dotted line, be sure to check out this podcast with ways to save on a car loan. In this month's episode, we'll show you how to get the most bang for your college buck. With just a little planning and research, you can potentially save big bucks on future college expenses. It's the end-of-year list of our favorite money tips from the past 12 months. Join Allison as she recaps her favorite episodes from 2014. Does it sometimes feel like you're the only one in your group of friends who never has money? You're not alone. Many people feel the same way. Learn how you can save money when it comes to buying the best of everything. This podcast is designed for information purposes only and is not intended as financial advice. The Credit Union, nor any of its independent providers is liable for any informational errors, incompleteness, delays, or any action taken in reliance on information contained herein. Users are always encouraged to check and confirm the information with other sources and through direct professional contact. 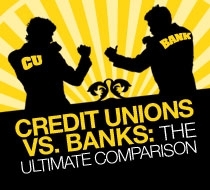 The content in this podcast is the opinion of its authors, and not necessarily the opinion of your Credit Union. Your use of this podcast is subject to elementsofmoney.com's Terms and Conditions.